Is there anything more relaxing than the back and forth motion of a comfy rocking chair? 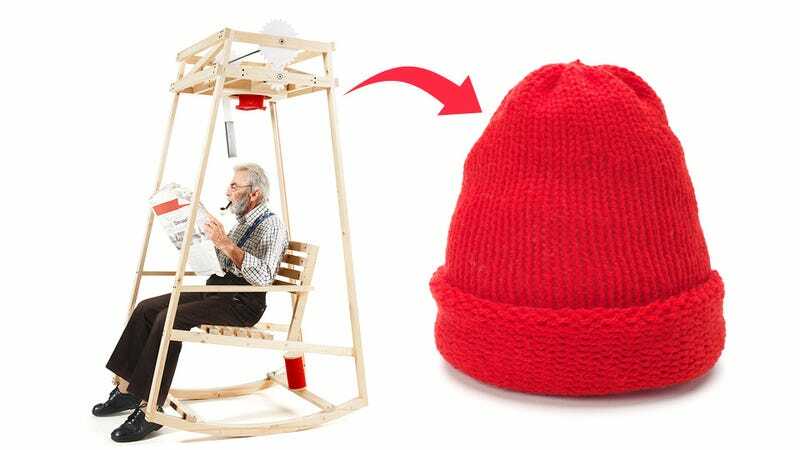 Of course there is—rocking while sporting a stylish knit cap you made yourself, which is made all the more easy with this rocking chair knitting machine. Steve Zissou fans, you've found that centerpiece for the nautical themed den you've been decorating.